When it comes to an event as special as your wedding, the last thing that you will want to have to worry about is transportation. While there are couples who may think that hiring a limousine service is too expensive, what you should know is that a quality wedding limousine service can make a dramatic difference in your special day. 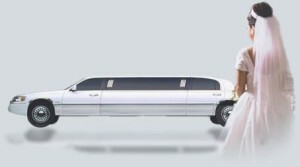 Not only will they be able to get you where you need to go in style, but you will also arrive on time without having to deal with any of the hassles of traffic or driving on your own.Before you hire any wedding limousine service, it is best that you set up an appointment to learn more about the company. Talk with the staff and find out how each driver normally dresses for each event. In addition to that, you can do a walk through and see up close and in person the condition of the vehicles in their fleet. During this walk through, you want to look at the interior as well as the overall limousine to make sure that they are vehicles that are very well maintained. It will tell you a whole lot about the company by looking at the transportation that they offer to customers. Finally, it is important that you reserve your wedding limousine service at least six months before your big day. This will allow you to have your pick of the best limousine service and will keep you from scrambling around at the last minute which could lead to you having to settle for a company that may have not been your first choice. When you reserve your wedding limousine service, be sure that you are clear about times and discuss a schedule with them to make sure that you have a clear cut plan in place for your special day.